Pathfinder Lugizar Trantos recently returned from the Mwangi Expanse with haunted eyes and a pack full of strange idols. Absalom’s famed Blakros Museum purchased his pieces and Lugizar vanished. The strange monkey idols he pulled from the misty jungles of Mwangi carry with them a fell curse, and now their power has laid claim to the museum. Can the Pathfinder Society uncover the source of the curse in time, or will the Blackros Museum be forever lost to the mists of Mwangi? This Scenario is a precursor to Voice in the Void; hence why I am running them back to back. If anyone hasn’t played both of them yet and has the time to, feel free to sign up for both and we’ll see if we have 1 group of people or 2. I’m fine with either and can run any of the subtiers; 1-2, 3-4, 6-7. For this scenario I would definitely need it to play at the 1-2 subtier to bring my own character. If it plays at 4-5 I can bring a pregen. This will be my first Pathfinder game ever. I’m planning to create a new level 1 rogue, but I’m flexible. If a different class or subtier is selected, I’m happy to play a pregen. If others chime in wanting the higher subtier, then I can certainly set you up with 4th level pregens. Right now though, this sounds like the 1-2 subtier is going to be a good fit with what we have so far. Guess we’ll see. Thomas, if you have the time and the inclination, feel free to sign up for Voice in the Void as well. That runs right after this one and serves as a 2nd part to this. Apologies. 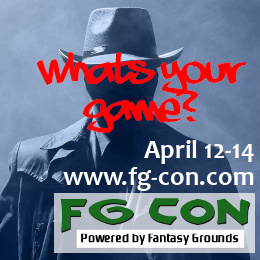 My wife has decided to plan an out of town trip for us that coincides with the FG Con weekend. As a result, I’ll have to withdraw from the entire weekend’s activities. Hope everyone has a good time! Understandable, BB. Hope you enjoy your trip. 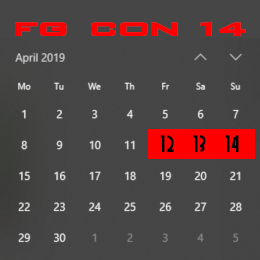 There are events being offered regularly on the FG site that you’re welcome to take a look at. I and a few other GMs (although not all) have Ultimate Licenses that allow for players with Demo versions to play. Once you’re back, check things out and hop aboard a game. Cmdisc, I’m going to drop you a PM on the FG site as I have questions about the events you’re talking about. Thanks!! I would prefer tier 4-5 but can run 1-2 as well. Hi – I am new to Pathfinder but have played 5e before in person. I was thinking of starting with a straightforward class, perhaps a Cleric, but am happy to play anything and/or use a pregen. We have 2 preferring lower subtier and 1 for the upper so far. If the others would like to chime in for their options we can see what will work best for the group. I have a 3rd level cleric I’d like to bring and I’d prefer a higher tier. However, I don’t want anyone to feel they need to use a pregen if they have a new character they’d like to use. I’m seeing 2 for lower and 2 for upper with 2 others still to comment. Naughtydread, I know you had questions earlier about PFS. Do you have any legal characters with Chronicles that can play in the 4-5 subtier? Or would you need a pregen? My PFS is only level 2, I would have to use a pregen. I’d be happy with either tier really. Hey cm I just want to clarify something. You can apply a chronicle from a higher level pregen to a level 1 character with the reduced gold reward until they are level 2 correct? I only ask cause a lot of these sessions with a 1-2 subtier look like they will be played high and I want the xp to go to my level 1 wizard so I can t level them up. Just curious. Thanks. Squeak, a reach cleric is a good option. I myself have a reach bard. It just requires some tactics on the field to work well. Yes Sean, pregen credits can be applied to either a 1st level character with gold reduced to 500 or to another character of equal level to the pregen. It’s also possible for the GM to hold the Chronicle and then turn it over at a later date when the character reaches the appropriate level (such as waiting for a 2nd level to reach 4th so that the 4th lvl pregen credit can be applied fully). 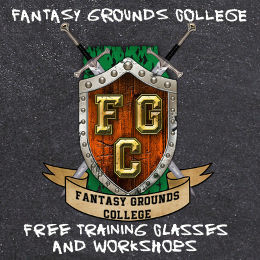 You just have to decide which character gets the credit because all events are reported to Paizo where their database tracks who has earned what. Just a friendly reminder to those that may be new and not realize, PFS requires characters to begin at 1st level and adventure up from there. Each adventure earns a Chronicle sheet which is proof of the gold and xp that you earned. Playing in a higher subtier can be done with a pregen, but if you are brand new to FG and PF in general, I’d recommend not going too high up the totem because the higher levels require the handling of more moving parts. I do have a 2nd level Barbarian that I could bring in. It would put everyone in the same tier. I’d be happy to play a fighter (rather then a Cleric) if the group needed a front-line. As this will be a 1-2 subtier run, you won’t need to resort to a pregen. You can bring either a brand new character or one with 1+XP to it as long as you can give me their latest chronicle sheet. Although technically you can bring any character of 1st through 5th level to this scenario, I’m asking folks to stick with 1st and 2nd as anything much higher will throw off any challenge to this and make it a bit of a cake-walk. Thanks – I’d like to make a decent reach cleric (or try to!) but am happy to make a fighter if the party needs that more. Do you or indeed the rest of the party 🙂 have any preference? d1wright will be bringing a barbarian. You are welcome to bring a fighter or melee cleric of some type. A reach cleric can work well in conjunction with another melee type. Just make sure not to put everything into WIS so they have a decent STR score to fight with. cmdisc I just sent you a .xml file with (hopefully) my complete character details. Let me know if it is correctly filled out. I got your xml. It all looks good. You don’t have any purchases though, so you’ll want to do that. You can go ahead and buy starting gear without being in front of a GM. Just track your gold so that everything is listed properly. It’s also necessary to note any purchases that cost 25gp or more. I have a custom Excel sheet I use instead of the standard pdf that paizo offers. I just find it easier. I will have the game up an hour before start time. So you can either sign in early and take care of your purchases then, or just do it on your end and resend the updated xml to me.